Backpacks, soccer cleats, lunchboxes, homework, art projects, raincoats, library books, permission slips...oh my! With the back to school season upon us, this list of stuff that will re-invade our homes looms large. These items are inevitably present in the daily life of a home with children in it, but just because these things come in to your house doesn't mean they have to take over. 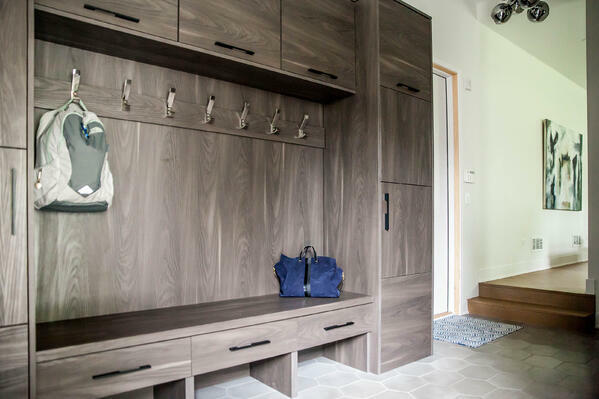 As a custom home builder we incorporate practical planning and understand how your family runs to stay a step ahead of the clutter and actually build in perfect spaces for storage and organization. While working with our architect and designer, our clients discuss floorplans and selections to ensure their homes look great. But we also want the home to feel great too so we ensure it's high on function. 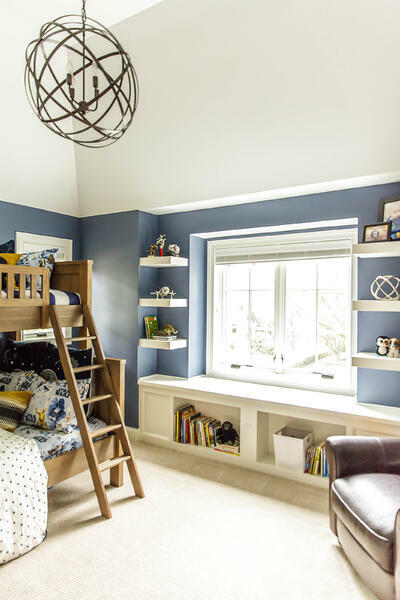 With smart storage placed in the perfect places, kid-friendly finishes and efficient use of space we find some helpful ways to build your interior for the life you'll be living. 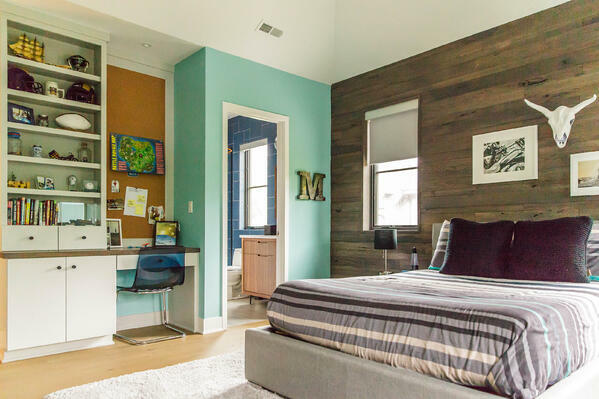 Today, we've pulled together some of our top ways to build in kid-friendly organization throughout your home from the start. 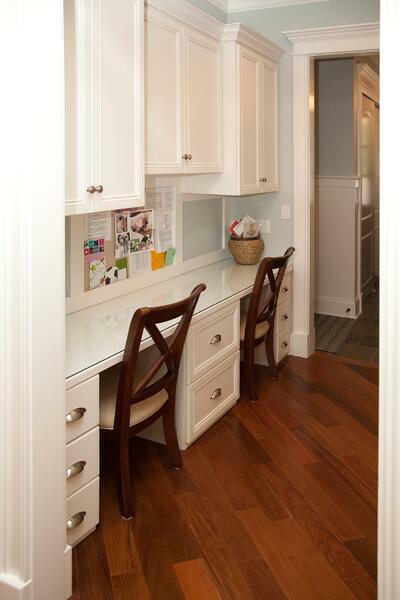 Separate from a main office, carving out a smaller space for a workstation or homework station is a great way to keep the family organized. Adding a pocket door or barn door on this room gives you the option to easily close it and mask the clutter when you'd rather not face it! 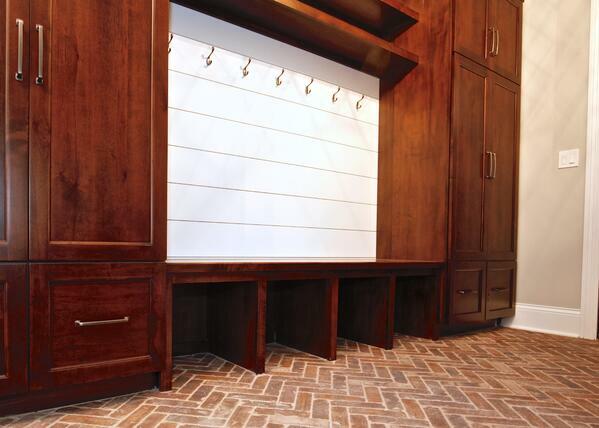 Even the family craft supplies can have a home base with the right designated space and storage. This particular craft corner was built into a 2nd floor laundry room. Hooks for hanging (include plenty for the whole family! 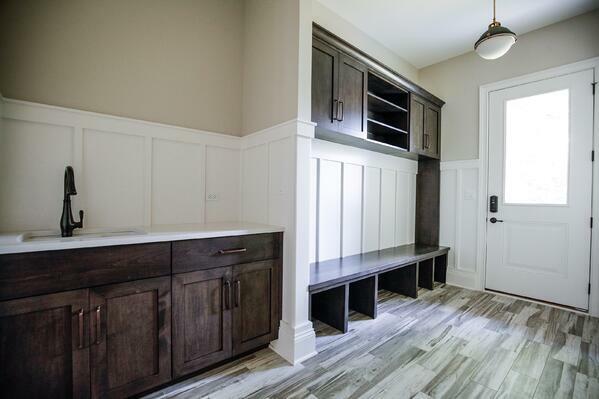 ), cabinets for containing the clutter, and cubbies for tucking shoes under means there is sure to be "a place for everything and everything in its place". There's no reason your organization can't also reflect your design aesthetic. Find ways to carry the style you love into a room you'll find yourself passing through on a daily basis. But choose materials that will hold up to the elements your family will throw at it. A utility sink placed close to the family's main entry keeps dirt and major messes from getting past the mudroom. Adding a door that leads straight outside also encourages muddy shoes and wet rain boots to be tracked right where they belong. 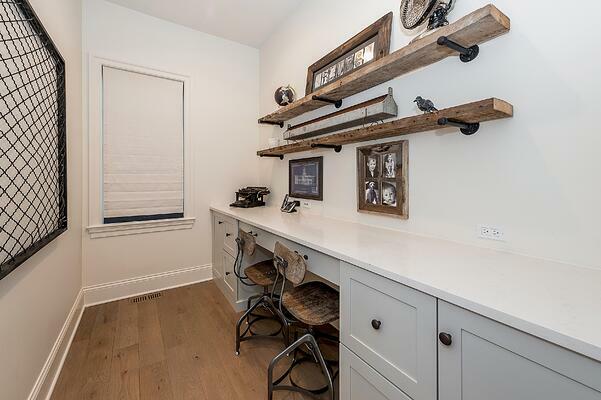 Storage in window seats and shelving built into walls is a great way to carve out storage that can double as display. 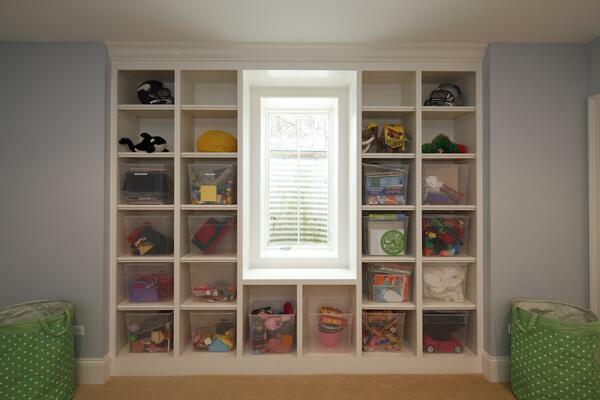 And the best part is, as your kids grow they can change up what they display and how they use the storage. 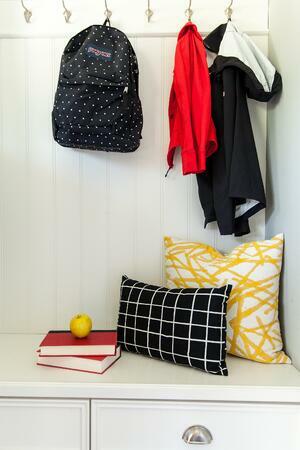 Adding a bulletin board and small workstation gives your child a quiet place to do homework and a perfect spot to display school reminders, practice schedules, class photos and more. See - don't you feel more relaxed and prepared for the year ahead already?! 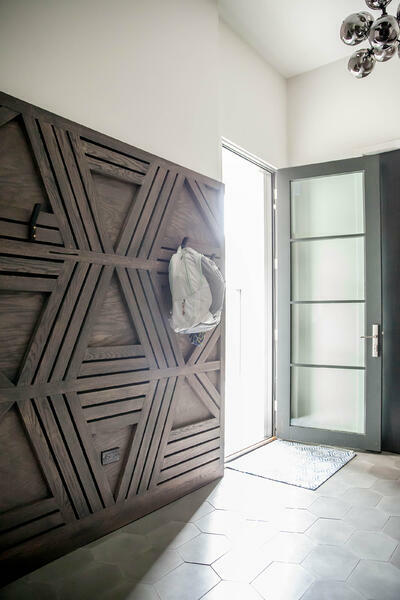 When you're ready to give your current home a reboot with a remodel, or if you want to dive into a full custom build, we can help you plan for that.